You Are Surrounded by the Healing Love of Angels! Healing with the Angels is a practical how-to guide that reveals how to work with angels to improve your health. Much of the book discusses the various ways that angels heal our physical health, and gives specific spiritual healing methods based upon the author's case studies. 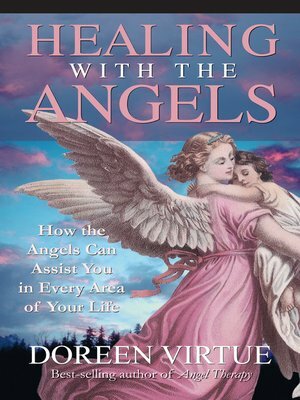 The angels also heal our mental and emotional health, and the case studies show how depression, anxiety, sleep disorders, and other common maladies can be lifted with "angel therapy." Topics include: Angel therapy for illness; healing others with angels; angelic messages about weight, exercise, and diet; sleep therapy from the angels; angelic clearing of psychological and emotional issues; healing away addictions and obsessions; and how the angels can heal us of worry, guilt, and other destructive mental habits.